Saturday night, Montreal saw the release of Flying Fortress by Saxsyndrum – David Switchenko (sax), Nick Schofield (drums). 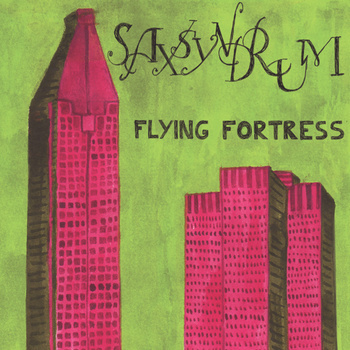 They are the last men standing of various previous projects, and expand on this experience with Saxsyndrum. At the core, both are naturally talented musicians. Add to that skilled production technique, social commentary, and pop culture references, and what results on Flying Fortress is a joy to listen to. Listen carefully, it is witty just as you lull into the beats. 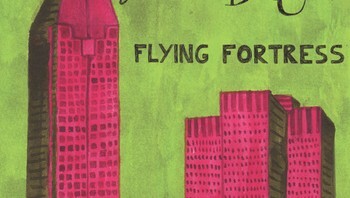 Stream/download Flying Fortress here. Name your price – I say top dollar! 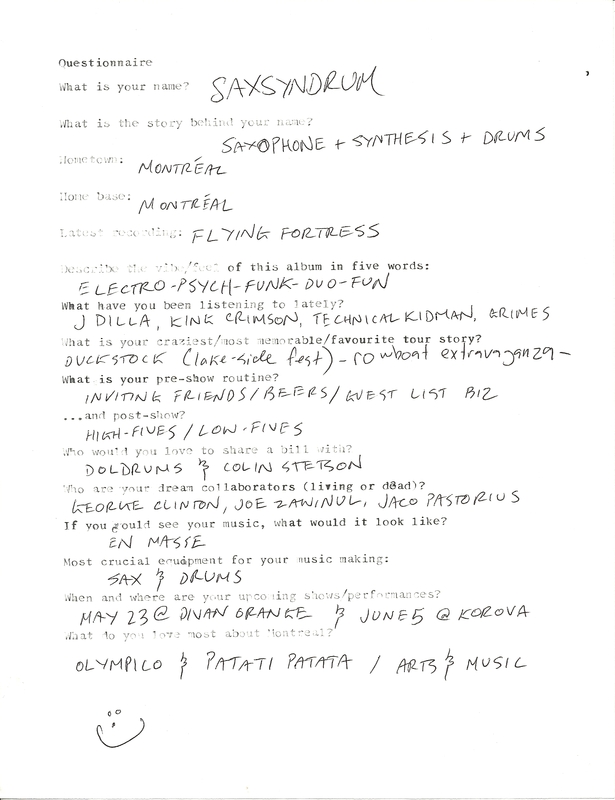 See our Q&A with Saxsyndrum below! This entry was posted in Reviews on May 4, 2012 by admin.